Rodney Peete, NFL veteran quarterback, is best known for his leadership and a winning attitude. Born in Mesa, Arizona, Peete excelled in all sports and activities. At Sahuaro High in Tucson, Arizona, Peete led his teams to state championships in basketball and baseball, and he was named Arizona High School Athlete of the Year as well as an Academic All-American. Peete holds a BA in communications from University of Southern California where he was a First Team All-American, winner of the 1988 Johnny Unitas Award for best senior quarterback, and the 1988 Pac-10 Player of the Year. During his 16 successful seasons in the NFL, Peete was named to various all-rookie teams, led two different franchises to the playoffs, had a winning record as a starting QB, and retired after his NFC championship season and SuperBowl XXXVIII appearance with the Carolina Panthers. 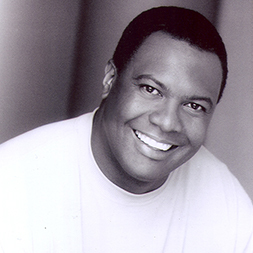 Peete went right from the gridiron to co-hosting “The Best Damn Sports Show Period” on Fox. He can also be seen hosting a variety of NFL and college preview and recap shows for Fox, Fox.com, and ABC’s Sports Zone. Rodney also hosted a daily radio show with his wife Holly Robinson Peete, called “Meet The Peetes” on Oprah and Friends, XM 156. He is co-founder of the HollyRod Foundation, an organization established to generate funds to fight Parkinson’s disease, children suffering from autism, and improve the quality of life for those in need. In March 2010, Peete authored his first book titled “Not My Boy ‘A Father, A Son and A Family’s Journey with Autism”. Peete is a member of the Arizona Sports Hall of Fame, the USC Hall of Fame, and serves on the board of governors at his alma mater. Peete made a smart acquisition in 1995, when he married his wife, the lovely television star Holly Robinson (“21 Jump Street,” “Hangin’ with Mr. Cooper,” “For Your Love”). The Peetes are proud parents of four beautiful children, twins Ryan Elizabeth and Rodney Jackson, Robinson James and the youngest, Roman Matthew. The family resides in Los Angeles.